This modern, stylish apartment is located in the vibrant area of Barceloneta. Originally the fishermen´s neighborhood of the city, it maintains a quirky atmosphere and is home to some fantastic bars and restaurants. It´s proximity to the beaches of Barcelona is perfect, making for an idyllic holiday spot in the city. 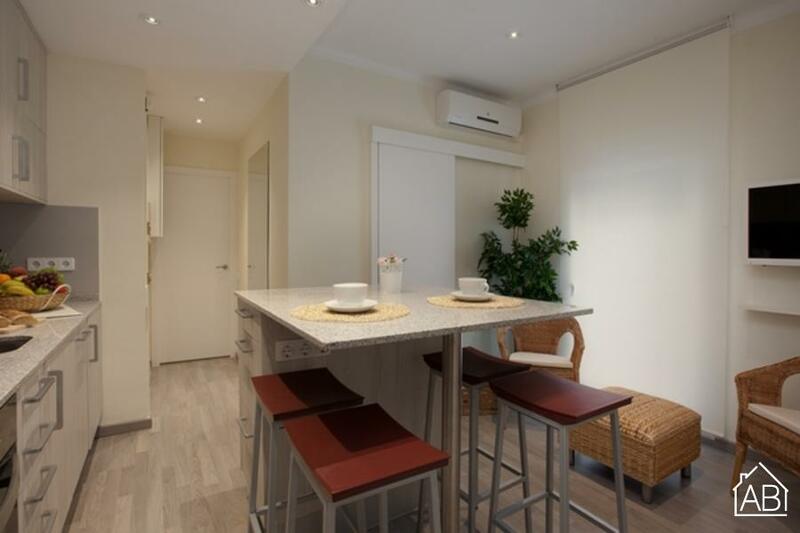 It is within easy walking distance to the Gothic Quarter and El Born and also has a metro stop connecting to many other areas. The apartment itself is bright and has a beautiful finish, and with two bedrooms is the perfect choice for a family or group of friends. It has a fully equipped, open-plan kitchen-living space and a clean, modern bathroom. There is even a small balcony so you can take in that Mediterranean sun! The apartment comes with everything you may need to be sure of comfortable stay: Internet, TV, air conditioning, and more.